Microblading is a cosmetic tattooing procedure that allows people to have beautiful eyebrows 24/7. You can wake up every day with effortless, beautiful eyebrows without a stitch of makeup. Choose your style and let our lash artists know if you're after a more natural look or want to bring on the drama. We custom design eyelashes that will enhance your eyes and fit your lifestyle. Discover rich nail polish colors and nail treatments with non-toxic formulas from Butter London; original nail art with Presto! gel nail polish from Japan, the world’s first LED gel system; and organic soaks, scrubs, masks and moisturizers from Osea– a trusted skincare line that is non-toxic and earth friendly. We offer Hair and Makeup services for Weddings, Special Events, Head Shots, Costume Parties and more. Our makeup artists are working professionals in the entertainment industry and understand what it takes to make you look your best on your special day. 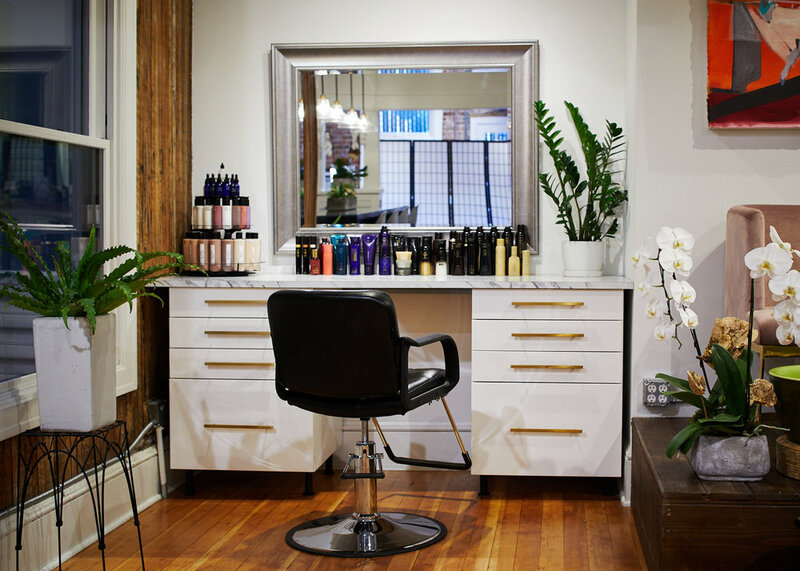 Lisa Scheffler has over 20 years experience with designing hair and has transformed countless clients into beautiful and naturally enhanced versions of themselves. She is our go-to girl for perfect, easy to manage, precision-cut hair. Get 3 Facials/Peels for $325! Save $50 on a package of 3 Facials/Peels. You'll be able to choose between Osea & Epicuren skincare customized for you. Buy 2 Manicures get the 3rd 1⁄2 off! If you’re a gel manicure addict this one’s for you! Get your third manicure for half off, when you buy two manicures. Full set of lash extensions & Two 1 hour fills for $310! Come in for a full-set of eyelash extensions and two bi-monthly fills. Enter through Anchored Ship Coffee and come find our hidden gem in the back!